We've done it for great clients. Rare Medium helps companies succeed in an increasingly digital world. We design and build digital universes that bolster brands, grow businesses and create real value. Now more than ever - experience matters - to your customers, to your employees, to your business. When experience matters… You must be diligent and on the lookout for talented, passionate and thoughtful people to work with. If you thrive on collaboration, diversity and innovation, we'd love to hear from you. Experience matters… In our world, having great clients means we get to collaborate and provide great products that meet - and often times - exceed their business objectives. If you're nodding in agreement, we should meet. The challenge that comes with digital innovations is deciding which to leverage, and how to leverage them. Instead of launching one-off initiatives, the most successful brands are developing digital programs that are holistic, integrated and strategic. "Going digital" really means authentically interacting with an audience through all of the platforms that make sense - web, tablet, mobile, social media, offline - in order to reach the consumer in a way that is seamless, intuitive and enhances brand identity. In short, it is a strategic, comprehensive approach to digital that leverages user information across all relevant touch point to maximize customer value. One thing's for sure: brands that do not commit to a holistic digital media strategy will perish. It is no longer a nice-to-have but an essential pillar of branding and marketing. Consumers are giving their time, trust, reputation and money to luxury brands; they should receive more than simply the product or service they buy in return. Digital media has the intrinsic power - today and 20 years from now - to deliver on that promise and Rare Medium can help you doing by defining your digital universe and creating the road map to achieve it! - User Research: We'll help you understand exactly what your users want and need to optimize engagement, with stakeholder interviews, customer focus groups, user goals and archetypes, card sort studies, heat map evaluations, heuristic analysis and usability testing. - Industry and Segment Best Practices: We'll leverage over a decade's worth of experience in best practices to enhance user experience. 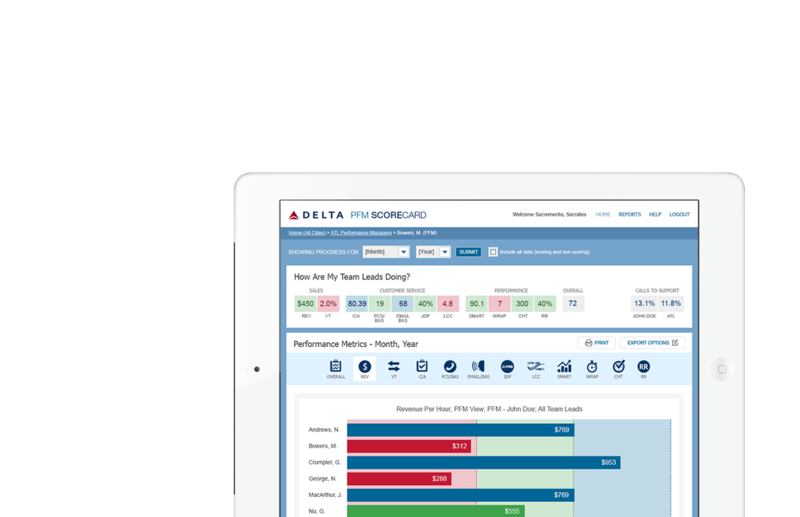 We'll look at your competitors and comparators to inform decision making and establish a feature/ value matrix where enhancements providing the greatest value are uniquely prioritized. - Functional and Technological Road Map: We'll define the technology plan to get you from here to THERE - where risk is minimized and the greatest economic benefit derived! Is your service usable? Is it useful? How can you find out? The best technology in the world will fail if it does not meet the needs of its users. Period. User Experience Research (UXR) is the science of assessing and improving your online service, by matching your design to the needs, wants, knowledge, and expectations of the real people who will use it. Rare Medium Atlanta's trained User Experience Researchers are skilled in the assessment of human behavior as it is affected by the Web experience. We understand how real people interact with technology, and how their experiences will make or break your service. Rare Medium Atlanta has an on-site, full service Usability Lab with digital video recording capability, in addition to "lab in the box" portable lab testing equipment for field-based, kiosk, and walk-up user experience analysis. The User Experience Design Group draws on user-centered research, best practices, and design processes to create compelling, intuitive solutions to our clients' needs. The User Experience Design (UXD) group is comprised of three user-focused knowledge bases: Information Architecture, Visual Design, and Design Technology. UXD documents, interprets, and translates a client's conceptual product philosophy into a solution that is visually appealing, functional, and intuitive without compromising product integrity. The purpose of User Experience Architecture is one of user advocacy. Based on the desires, wants, needs, goals, and knowledge base of a user, the User Experience Architect (UXA) determines the solution features and organizes them into an overall site structure. 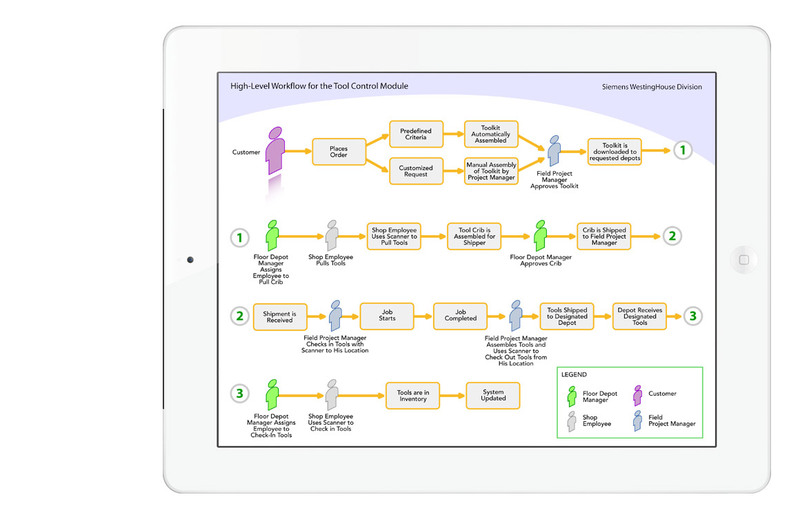 The UXA creates site maps, wire frames, process flows, and identifies the requirements of the other development disciplines in order to maintain the integrity of the final product and user experience. Visual Design's primary role is to use visual elements – color, type, imagery, and layout – to communicate the creative vision, value proposition, and underlying structure and functionality of a user experience. More than just graphic design, Visual Design balances form and function to create a solution both aesthetically appealing and simple to use for the target audience, while being true to the product's brand. No matter what business you are in, managing your business as a technology-enabled whole is critical for success. Whether it be selling shoes over the Web, or enabling your employees to process accounts payable online, transforming business processes is critical in the new digital marketplace... and nobody does it better. At Rare Medium, we build world class websites informed by data, grounded in user experience and built to extend all user touch-points to create awareness, facilitate desired behaviors and generate revenues. Consolidating, storing, and distributing available and easily re-purposed information (text, graphics), can give our clients a competitive advantage through reduced operating costs. Comprehensive Security - 24/7 Armed Security, Biometric Security Entry Points, Firewall Solutions bundled with IDS. Complete Server/Site Monitoring - 24/7 Monitoring, Firewall and Server Logging/Auditing. Overall Server Administration - Dedicated 24/7 Technical staff, for End-to-End Support. Rare Application Development and Systems Integration solutions carefully combine the very best of emerging technologies with the still-valuable components of legacy environments to create value based applications - self-service applications for your employees and your clients. Ultimately, we create value not only by understanding the promises of advanced technologies and strategies, but by reliably delivering application solutions that make the promises of process automation, reduced cycle time, and defect elimination real. Indeed, at Rare Medium we enable your company to consolidate and integrate data from multiple data sources to streamline business processes, such as customer service, sales and engineering. We help our clients cost-effectively link new and legacy systems, allowing the seamless exchange of information. Our Enterprise Application Interface (EAI) solution provides an "interface engine" between multiple systems, where each system can have a single interface to the EAI server, instead of multiple interfaces for every other system with which it needs to exchange data. And EAI server simplifies the task of getting multiple legacy and new systems to talk to each other by providing a set of business rules to control how and under what circumstances data are provided from one system to another. Rare Medium has particular depth and strength in the travel and hospitality vertical. Indeed, we understand Property Management Systems and the delicate balance of immediacy and accuracy in web booking engines. Micros Fidelio Opera Web Services (OWS) is an area of particular expertise. Not only did Rare Medium support the very first OWS implementation worldwide, to date we have built and implemented dozens of web booking engines for many of the largest hospitality brands in the world. OWS is a collection of Web Services that provide access to functionality within the Opera PMS application, Sales and catering or Central Reservations Systems allowing us to create unique, compelling web booking and profile management experiences for our customers. For Opera properties, we can leverage OWS to optimize amenity sales, expose rates to most any degree desired and create rich booking calendars to ensure maximize conversions and the greatest ADR possible. As one of the grandest hotel chains in the world, The Ritz-Carlton is renowned for indulgent luxury. Sumptuous surroundings and legendary service await every guest. The Ritz-Carlton's award-winning hotels gloriously reflect their 100 years of grand tradition. Likewise, www.ritzcarlton.com offers online guests the opportunity to enjoy the legendary service and personal attention that has made The Ritz-Carlton world famous. The challenge for Rare Medium with this most recent redesign was to create a compelling, lush online experience that brings to life, the legendary service and experience of the Ritz-Carlton. 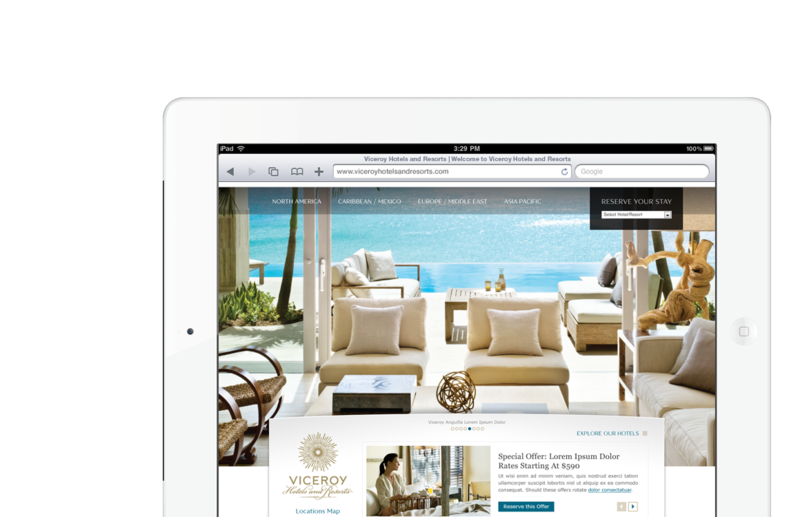 After extensive research and user testing, a highly functional and experiential The Ritz-Carlton website was created. Among the key features of the website include a content management platform that allows content authors from around the world to author and publish content, a distributed delivery model so that remote users in far off lands, receive an expedient, relevant user experience and a rich platform for those treasured experiences and memories  the ones that Stay With You - that draw you in and take you back to a very specific, magical moment in your life, all in a flash. Indeed, the Ladies and Gentlemen of The Ritz-Carlton create experiences that touch the lives of their guests each and every day. That is powerful and that was the Rare Medium challenge. 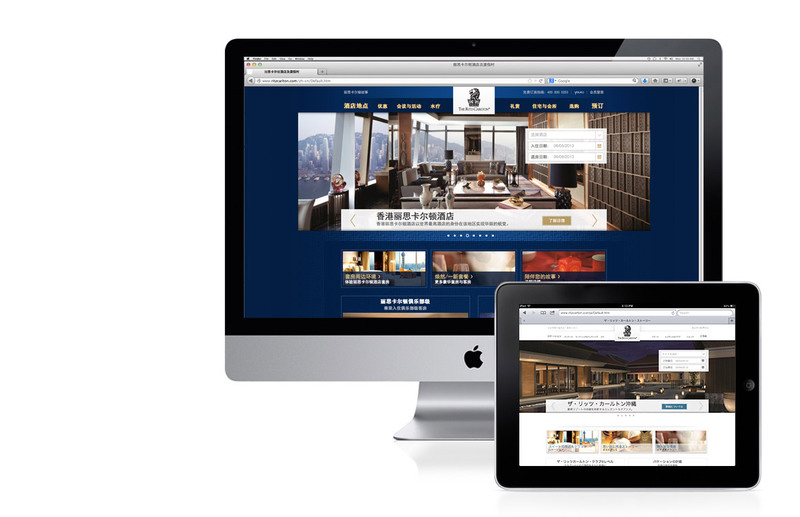 The Ritz-Carlton website originally offered a reduced set of translated core pages for their Chinese and Japanese customers. As The Ritz-Carlton's business expanded rapidly in Asia, they made a strategic decision to expand the offering of in-language pages to better serve this growth market. The English version of the site had recently been updated with a stunning new visual design; for cohesiveness, Chinese and Japanese were to use this design as well, with accommodations made for language and cultural nuances. As part of our on-going work with The Ritz-Carlton, Rare Medium worked closely with Ritz-Carlton's in-country design firm to adapt the visual design for Chinese and Japanese. Parallel to that effort, an extensive content audit was performed, which identified the differences among the English, Japanese, and Chinese content and the resolution of each item. This audit served as the roadmap for development. An accelerated timeframe precluded a server-side technical approach to this work. Instead, Rare Medium used Cascading Style Sheets to apply custom style selectors, which transformed the presentation layer according to language and specific hotel. Also, because of the timeframe, we had to migrate existing content while sharing common ASP.net source pages, while allowing for the distinctive shifts in style and font presentation described above. 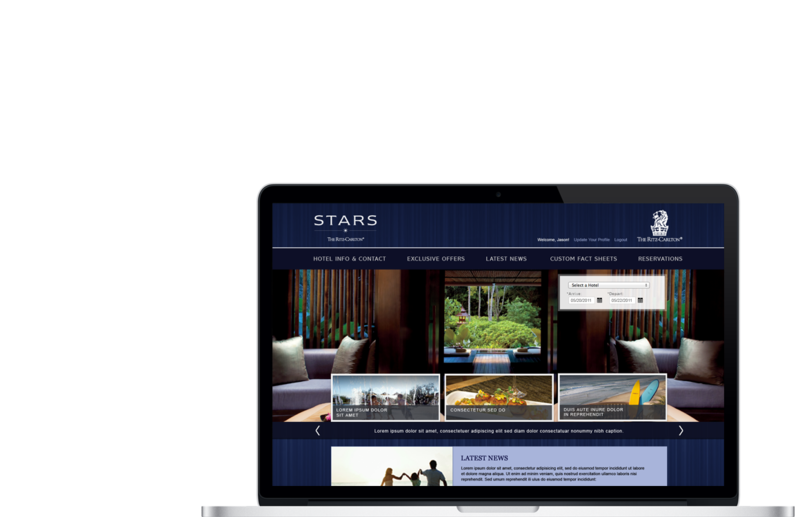 The Ritz-Carlton Hotel Company wished to update and expand their travel agent intranet, which provides hotel, contact, and special offer information to its network of distinguished travel agent partners (STARS). In addition to maintaining all existing functionality, The Ritz-Carlton wished to add a travel blog, highlighting experiences from selected travel agents at different Ritz-Carlton properties. A visually refreshed STARS website which aligns with the new brand-platform. 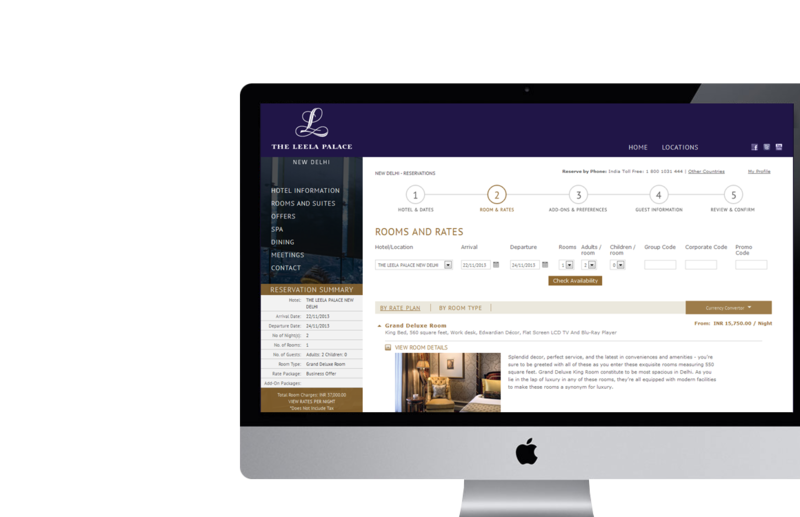 An expanded hotel information area allowing agents to pull content from the CMS to generate custom fact sheets about any property, which they can then (email, share, etc) with their clients. Profile administration through the website – both self-service and by administrator. The system accommodates both individual user and agency profiles. Activity reporting by user (log-in activity, email activity, etc. ), in addition to site metrics (Omniture, Google Analytics). A custom, proprietary blog framework, which interfaces with the existing www.ritzcarlton.com CMS. Blog posts are initiated as CMS postings. All standard blog functionality (comments, tags, categories, etc.) is included. Provided restaurants a distinct look and feel to support their individual personality and positioning. Allow for customizable elements (logos, colors, typography, imagery) while standardizing the content and navigation available across each template. Leveraged existing www.ritzcarlton.com infrastructure including content management resources. Provide room to grow with optional additional sub-pages that can be turned on as needed. Allowed for direct reservations or Open Table integration and social media integration. 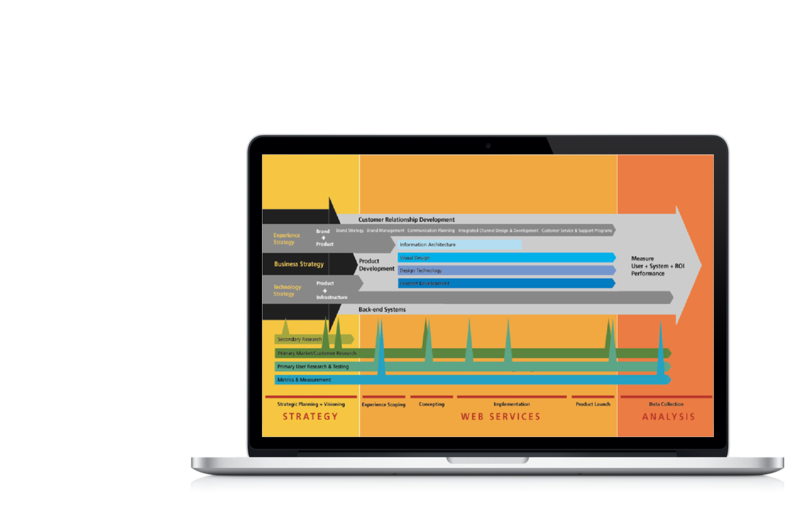 Thinking of deploying Business Intelligence (BI)? So are your competitors. 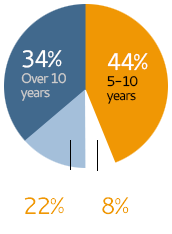 Gartner’s 2015 CIO survey showed that BI is the No.1 technology priority for CIOs this year. 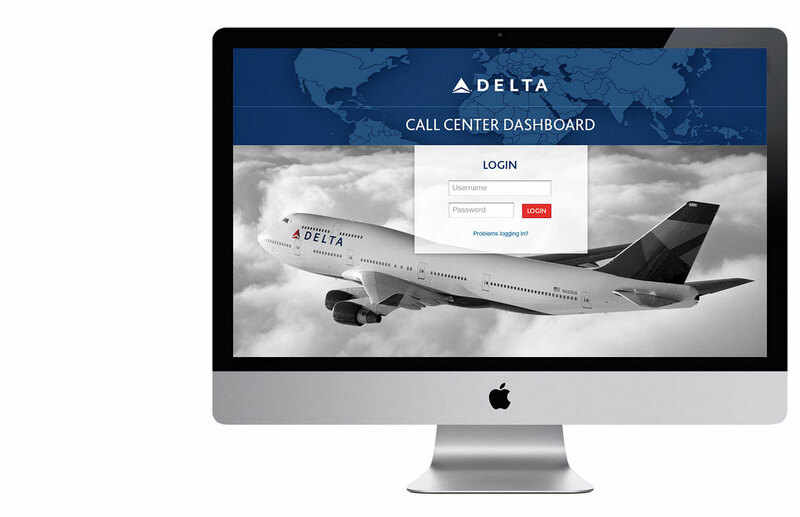 The Delta project was an exciting opportunity for the Rare team to implement a robust Business Intelligence solution for the Delta Call Center teams. 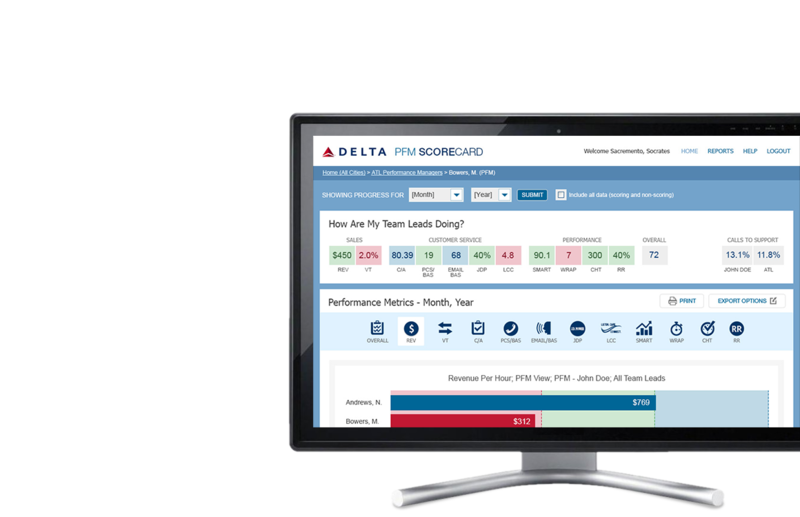 This new Delta Dashboard was designed to provide users with comprehensive access to critical information to measure performance and enhance effectiveness across call centers worldwide! Effectively visualizing Key Performance Indicators is integral as 70% of the sense receptors in the human body reside in our eyes. Optimal user experience design ensures a rich, highly functional and effective user experience across multiple devices. Seventy-five percent of Business Intelligence success is determined by factors other than data and technology (Center for Information Based Competition) - it's critical to present the right information in the most effective manner to each system user. 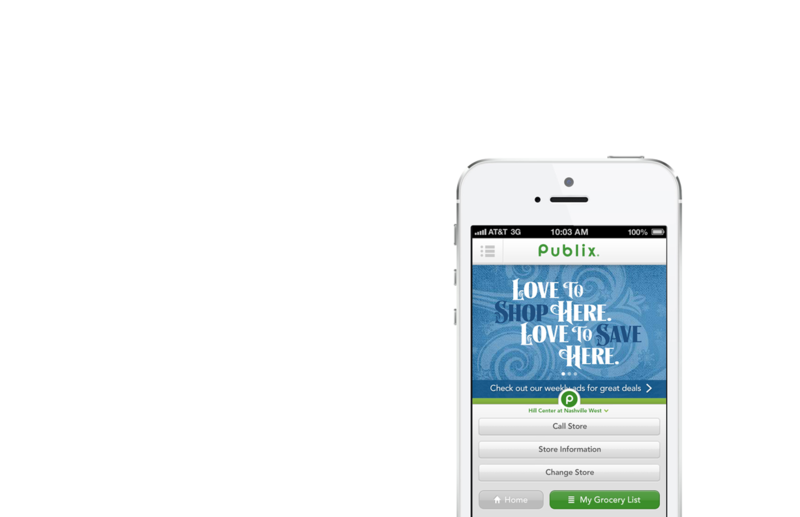 Publix Super Markets, a large regional grocer in the Southeastern Unites States, wished to provide a smartphone app for their customers, leveraging existing content within their proprietary CMS system while taking advantage of native capabilities of both iOS and Android devices. The finished application allows users to locate a Publix store, read geographically sensitive weekly ads, and access personal account features, in addition to providing access to the extensive library of Apron's Simple Meals recipes and its corresponding video content. Barcode and QR scanning allow easy refilling of prescriptions and access to time-sensitive promotional messages. 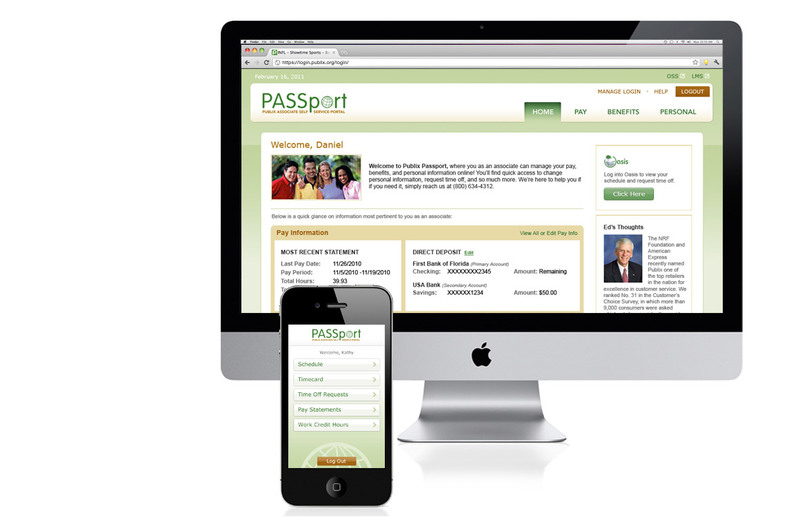 PASSPort is Publix's self-service employee portal, providing associates the ability to access selected secure information and functionality via their computer. Rare Medium provided Publix with information architecture, visual design, and front-end development services for an extension of the portal to include benefits information and enrollment. The new functionality allows new employees to compare health care plan costs, enroll themselves and their dependants in health care coverage, and enroll in Long Term Disability (LTD) coverage. Existing employees can review plan selection details, dependents/beneficiaries, and provider links for their health care coverage, LTD, life insurance, dental/vision, and retirement. 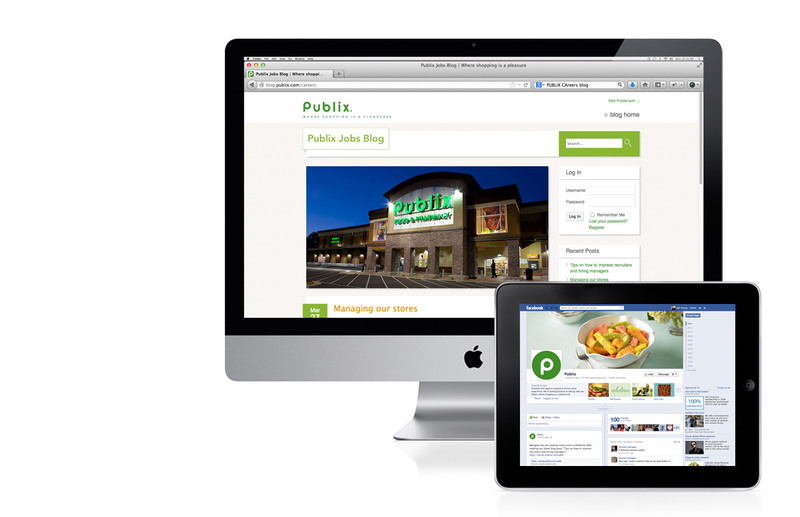 Publix's recruiting department wished to leverage social media avenues, including Facebook and a new blog, to extend their digital reach beyond the traditional website. Rare Medium provided user experience design and implementation services for the Facebook presence and a new careers blog. On Facebook, Publix Careers staff use articles, critical openings, recruiting events, photos, and other posts to create a conversation with their subscribers. The blog content is also available. 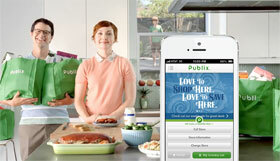 The recruiting blog is the first step in Publix's long-term strategy to build a cohesive blog presence. 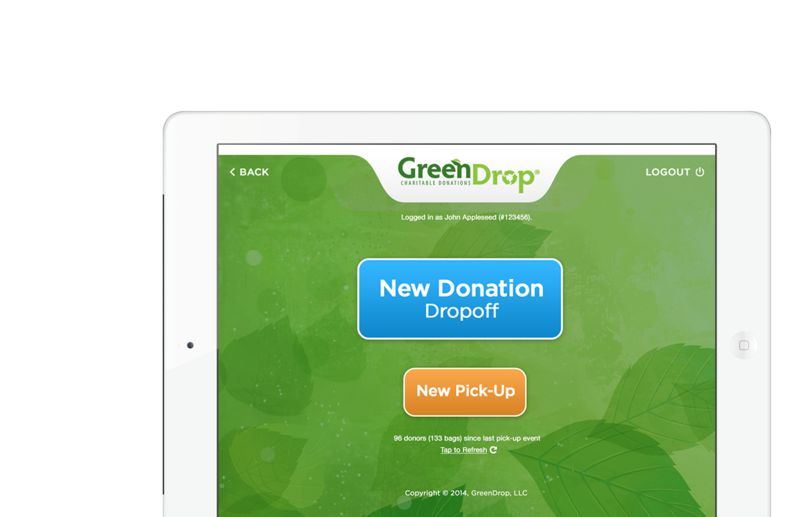 GreenDrop is one of the world's largest textile recyclers supporting the fundraising efforts of its charitable partners by generating and collecting clothing and household goods which are sold to various thrift stores. The proceeds collected by the charities from the thrift stores provide the critical funds needed to support charitable initiatives in diverse communities. 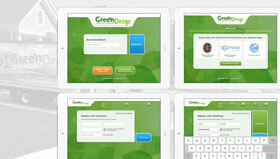 This new mobile application developed by Rare Medium, directly supports GreenDrop's unique mission by allowing donors to quickly, easily donate items at any one of GreenDrop's locations and seamlessly receive critical tax information automatically delivered to the donor's email. 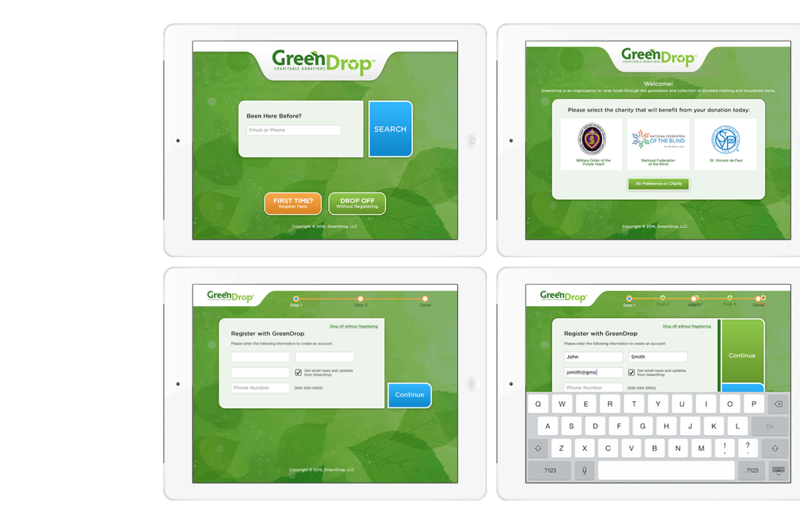 The application integrates directly into GreenDrop's Donor Management System to record key donor activity and provide critical business intelligence to GreenDrop's leadership team. Siemens Power Corporation provides power generation services in over one hundred locations across the globe. Their work includes maintaining tool inventories across multiple tool facilities throughout the Americas, as well as the assembly, shipping, and tracking of individual tools and tool "kits", used on-site for the maintenance and repair of hydro-electric and gas turbines. They are also responsible for the associated billing for these tools. The current tracking mechanisms were woefully inadequate, resulting in an annual loss of tools totaling well over $1 million. 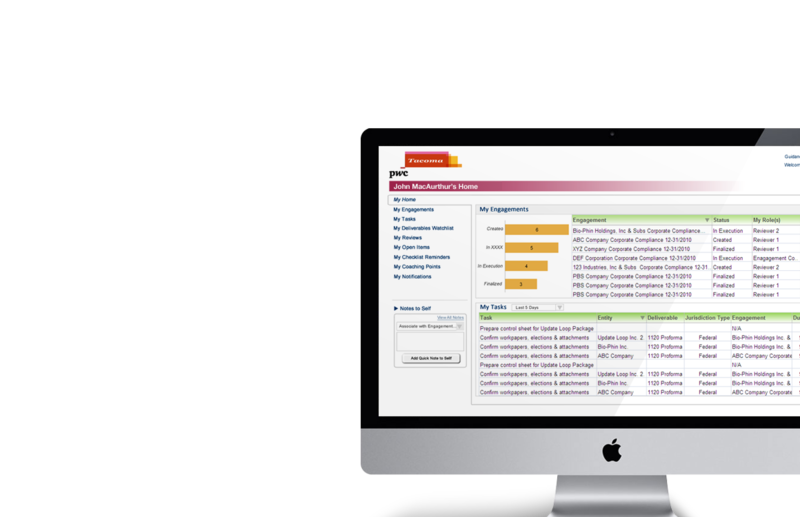 Rare Medium was engaged to build a comprehensive web-enabled tool inventory, ordering, shipping, tracking, assessment and billing system. Through extensive user research and business analysis, Rare Medium helped Siemens Westinghouse Power Corporation create and integrate a standardized business process across their tool facilities. 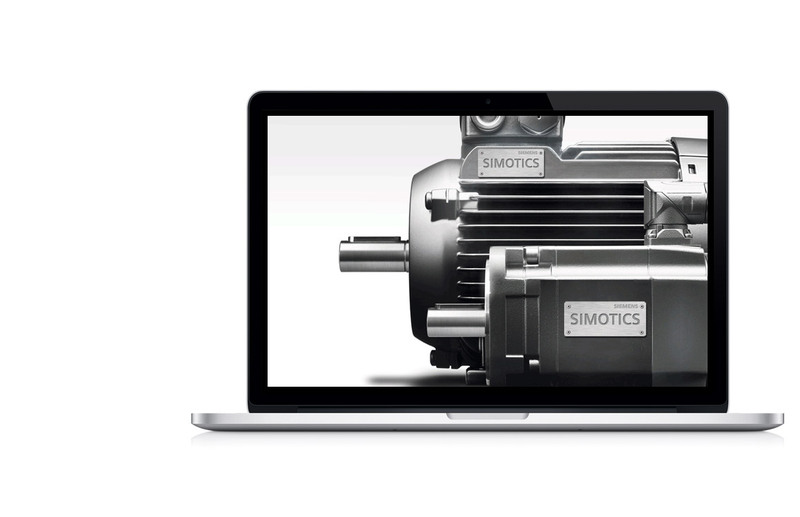 This helps Siemens improve productivity and individual accountability and decrease errors across the enterprise, thus meeting their goal to reduce inventory loss and damage. Rare Medium built an enterprise Web-based tool control and tracking intranet system based on open architecture standards that provided authorized personnel with full visibility into their tool inventories. This system also allows customers to place job orders via the Web and view the status of their order and relevant shipments through fulfillment to the job site. As a preliminary engagement to the design and development of the Tool Control and Tracking System, Rare Medium completed extensive user research and process development activities. The Tool Control and Tracking System was tasked to standardize the practices of three different tool depots. While it was known that the depots had vastly different processes, the specific deltas were never documented, and therefore could not be merged. First, each target user population was identified. Then, field research was conducted to understand each population's physical, technical, and organizational environment, across the three depots. Rare Medium conducted ethnographic research at each depot, shadowing users as they went about their daily activities, and documenting each depot's ordering, shipping, inventorying, billing, conditioning, and tool catalog maintenance processes through the eyes of the users. We also conducted on-site and remote interviews, to better understand each population's inefficiencies and non-standardized and undocumented practices. Rare Medium then conducted a series of focus groups with key members of each population, to review the findings of the user/ethnographic research and develop conceptual models for a revised set of standard workflow processes. Because of the wide number of user populations and their disparate locations, each focus group member served as an "ambassador" of the project, sharing the focus group findings with their colleagues, soliciting feedback, and reporting back to the group any concerns or suggestions uncovered. Through an iterative process, Rare Medium produced a detailed set of revised workflows, which were vetted and approved by the focus group participants, as the representatives of the target user populations. These workflows then formed the basis of the resulting requirements, design, and ultimately, development work for the Tool Control and Tracking System. Rare Medium was awarded a prestigious Adrian Award for Website Design and Campaign Success from the Hospitality Sales and Marketing Association International for our work on the redesign of the Viceroy Hotels and Resorts website and the highly successful Viceroy Vice or Virtue Campaign delivering ~20% increase in site visits and a nearly 40% increase in conversion rates! Viceroy Hotel Group is a luxury hotelier with properties in city and resort locations across the globe. As part of a major expansion plan, they engaged Rare Medium to provide user research, user experience design, technology, and hosting services for a completely new web presence for their Viceroy Hotels and Resorts brand, as well as applying the new look and feel to their Corporate site. Rare Medium's research and user experience design staff conducted interviews with Viceroy hotel staff, customers, and corporate representatives at several Viceroy locations. Learnings from those sessions formed the backbone of the information and visual design for both the brand and corporate sites. In tandem with user research and design activities, Rare Medium's technical staff evaluated several options for content management systems for the new site. Ultimately, Sitecore Web Content Management System was selected, based on its fit with functional, budgetary, and schedule requirements. The final site showcases Viceroy Hotel and Resorts' luxury appeal with bold, full-screen imagery, 360° tours, and a clean, understated design. Individual property websites allow each location to customize their content and messaging. 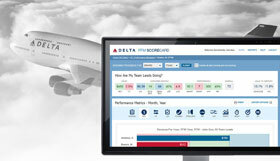 The website integrates with social media and Google Analytics and ties into the Synxis booking system. Currently the site is offered in English and Spanish, with additional languages planned. 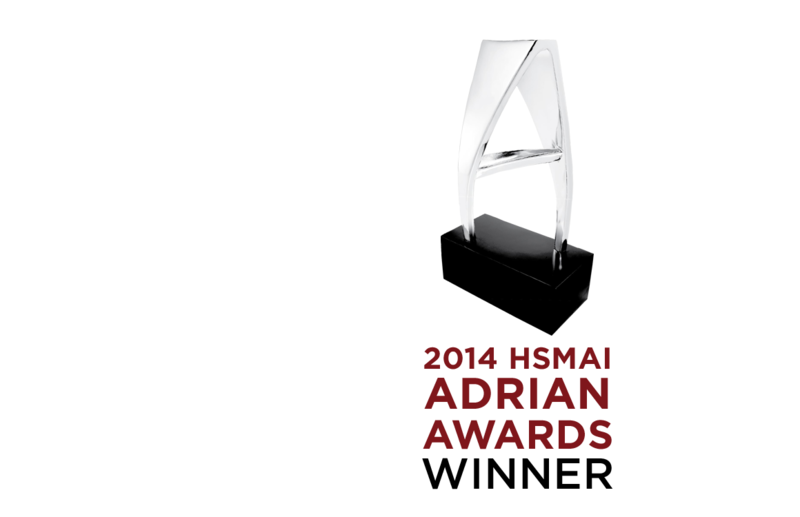 This website was the recipient of an Adrian Award for Website Design from the prestigious Hospitality Sales and Marketing Association International. Rare Medium was engaged to redesign the website of Viceroy's Urban Retreats brand. 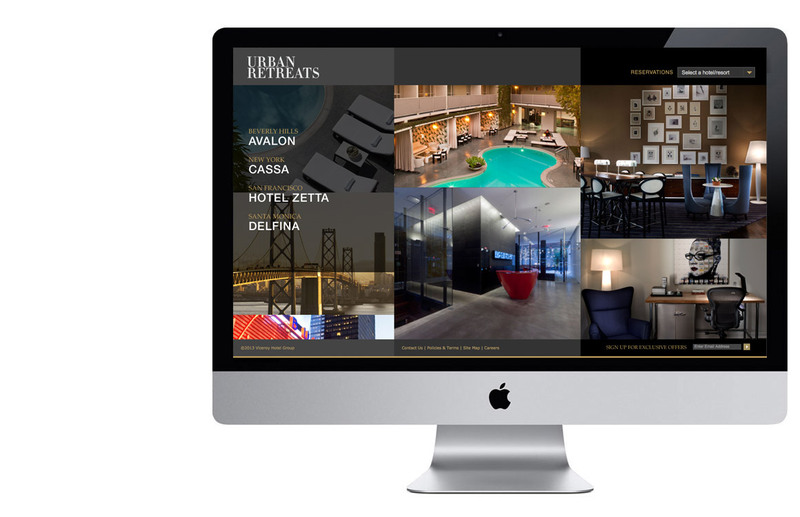 Urban Retreats is a collection of luxury boutique hotel properties strategically placed in major urban locations across the United States. Each location is very unique in architecture, style, ambiance, and decor, which presented a challenge when trying to unify them under a single brand website. Rare Medium's visual design team prepared multiple design composition options, working with Viceroy's eCommerce marketing and other staff to capture the spirit of Urban Retreats with a new brand landing page. To simplify site administration, layout and CMS templates created for the VHR redesign were also leveraged for Urban Retreats, but a new color palette provides a unique identity for each hotel. 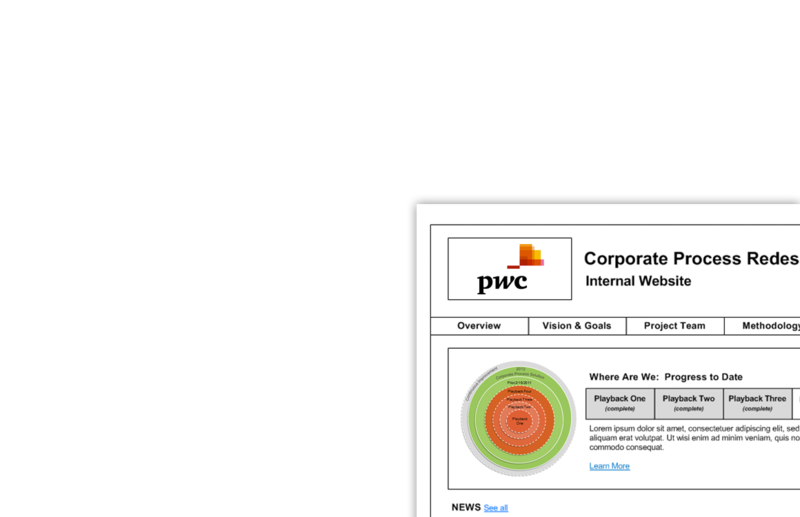 Pricewaterhouse Coopers, an international professional services firm, enlisted Rare Medium to augment their user research and user experience architecture team. This collaborative group was responsible for creating a new tax preparation workflow system for PwC's tax services group. During this initiative, Rare Medium provided user experience research, information architecture and user interface design services to PricewaterhouseCoopers. Using the Agile Methodology, the system was developed and built on an IBM Websphere Lombardi platform. User research included site visits to nine US cities, cognitive walkthroughs, heuristic evaluations, composition reviews, and extensive user story development based on ethnographic research of 12 user roles. Findings were translated into an extensive site architecture, a gap analysis, over 300 wireframes and patterns documentation, all of which spanned a variety of complex tax workflow scenarios. The timeline for this project was extremely aggressive and sprints were typically two weeks in duration. Finally, to assist PwC in communicating their new project rollout, Rare Medium delivered designs for a project status and awareness intranet site. Pricewaterhouse Coopers, an international professional services firm, enlisted Rare Medium to augment their user research and user experience architecture team. This collaborative group was responsible for creating a new tax preparation workflow system for PwC’s tax services group. During this initiative, Rare Medium provided user experience research, information architecture and user interface design services to PricewaterhouseCoopers. The Leela Palaces Hotels and Resorts offer luxurious five star deluxe accommodations throughout India. Rare Medium's challenge was to extend the brand to a new website, offering rich content, streamlined navigation, and immersive and experiential design. To kick off this project, the Rare Medium team interviewed stakeholders, conducted focus groups and toured the hotels to gain insights that would translate into the website's visual design. The resulting luxury site crafts "The New Face of India", represented in large, beautiful hotel and lifestyle imagery. The Leela's website redesign is rich, elegant, luxurious, powerful, feminine, modern, and accentuates forward-looking design elements. Importantly, the reservations process is front and center, offering consumers an intuitive way to select a hotel, designate the length of stay and number of rooms, and quickly check availability. Opera Web Services (OWS) was implemented for online booking and real-time availability, cross selling premium services like Spa and Dining and upgrade opportunities for suites, flowers, chocolates, and other delights. Each hotel is easy to find through clear navigation and each hotel's site enthusiastically invites consumers to interact and get to know the hotel and its people. Among the special features of The Leela website redesign is the addition of over 1,000 specially shot images to showcase the hotel facilities, from guestrooms to meeting rooms and everything in between. Visitors to the site gain a "sense of place" through this immersive mix of hotel and lifestyle imagery. New content for Offers, Dining, Spa, Weddings and Meetings provide quick overviews and bring pertinent information up several levels, keeping users on a single page. The use of concise, short, and targeted copy helps deliver a user-friendly site that is community focused. The large screen resolution combined with rich technologies pushes interactivity to provide a cutting edge experience that thinks beyond "now", and looks forward towards tomorrow – putting The Leela at the forefront of authentic Indian luxury. Social Media integration sets the stage for guests to interact with the website and post "likes" and "tweets" from various pages. These features serves all markets; consumers benefit as much as travel agents and meeting planners. Precise localization was paramount to The Leela and Rare Medium went to great lengths to ensure - we got it right! Every Leela property was visited to understand the unique Indian authenticity of each; extensive user research was conducted with internal stakeholders as well as external customers and Indian dignitaries. Rich heuristic and usability analyses were conducted to understand the needs of the local Indian marketplace as well as those of the Western visitor to India. 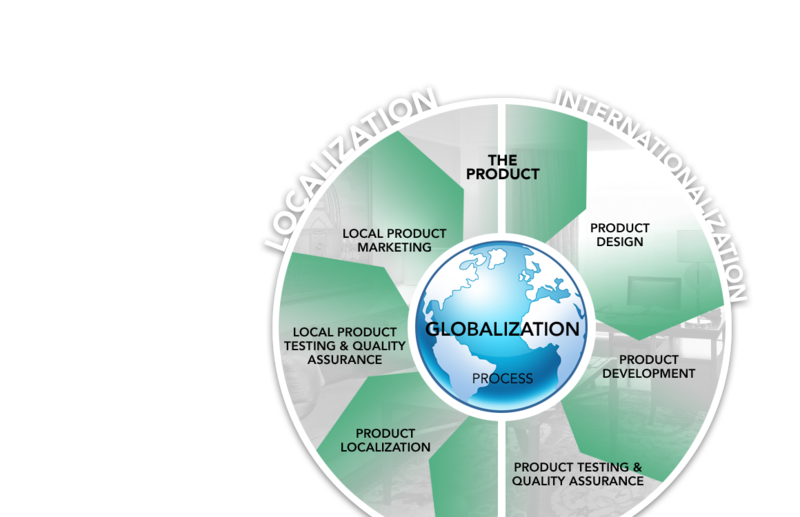 Simply stated, given the target market, it was critical that we fully understood the user and the locale. And the results don't disappoint! From the specific choreography of over 1,000 new images showcasing the individual property highlights to the actual content "voice" employed throughout the website. From the social media integration, appropriate to the country to the culinary menus and offerings the overall website experience speaks directly to an authentic India.